Detail of Untitled (2000/10) as installed at 21st Century Museum of Contemporary Art, Kanazawa, 2010. Carved and painted polyurethane objects. Photo Osamu Watanabe. All images: © Peter Fischli/David Weiss. 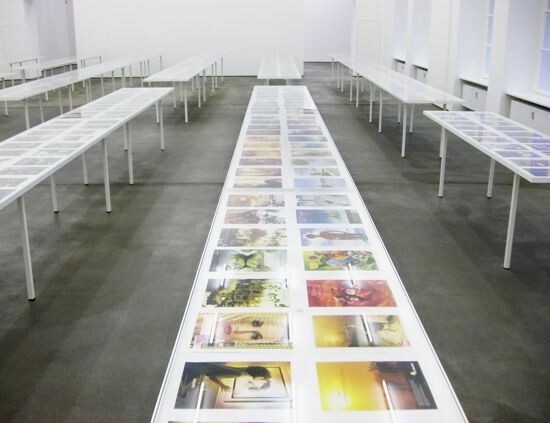 Installation view of Sun, Moon and Stars (2007/08), 797 facsimile reprints of advertisements, offset prints in color, 38 vitrines of wood, glass and steel, each 78 x 177.5 x 72.5 cm, total 268.2 x 77.0 x 72.2 cm. 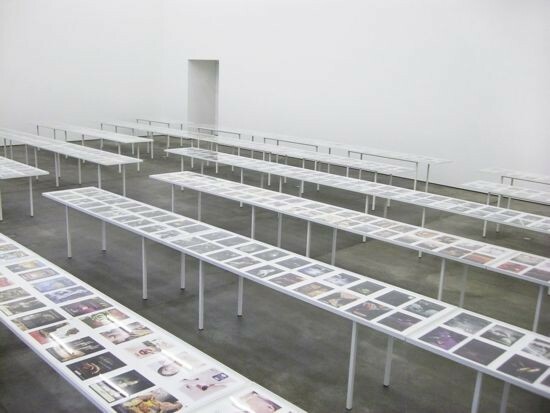 Courtesy the artists; Galerie Eva Presenhuber, Zürich; Sprüth Magers Berlin/London; Matthew Marks Gallery, New York. 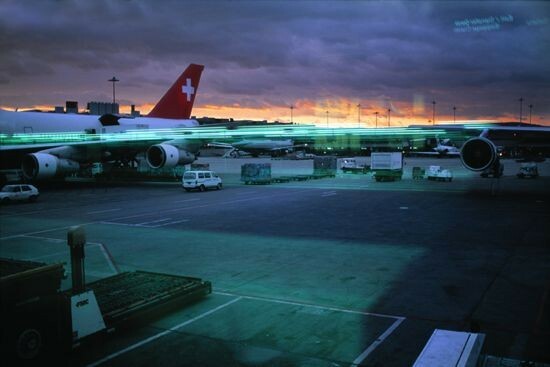 From the series “Airports” (1987- ), C-print photograph, 160 x 225 cm. 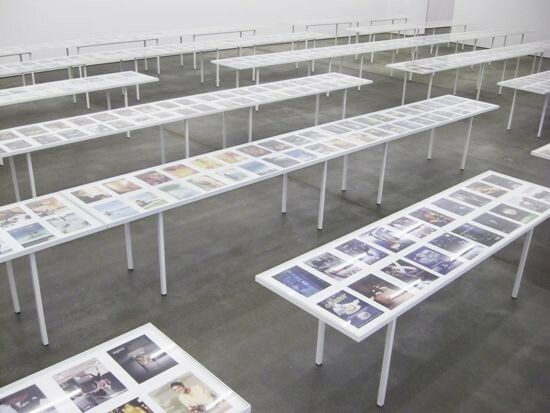 Courtesy the artists; Galerie Eva Presenhuber, Zürich; Sprüth Magers Berlin/London; Matthew Marks Gallery, New York. 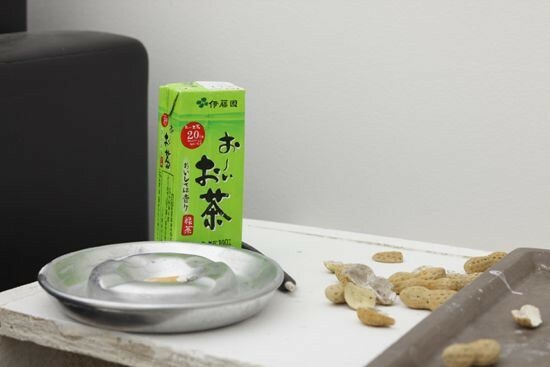 Detail of Untitled (2000/10) as installed at 21st Century Museum of Contemporary Art, Kanazawa, 2010. Carved and painted polyurethane objects. Photo Osamu Watanabe. 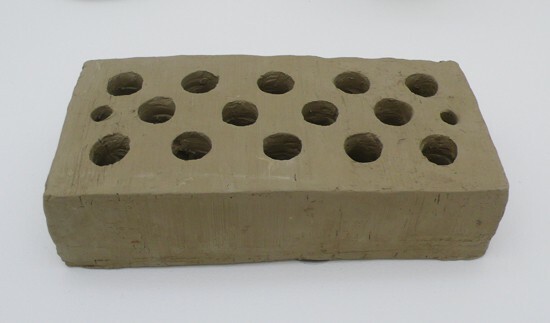 Above: From Suddenly this Overview (1981/2006), “Brick,” unfired clay, as displayed at 21st Century Museum of Contemporary Art, Kanazawa, 2010. Photo ART iT. 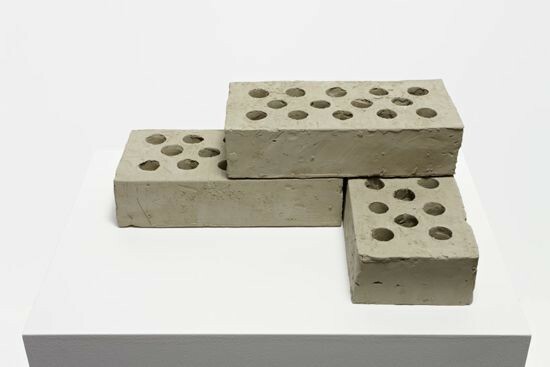 Below: Three Bricks (2009). Courtesy the artists; Galerie Eva Presenhuber, Zürich; Sprüth Magers Berlin/London; Matthew Marks Gallery, New York. All: Detail of Sun, Moon and Stars (2007/08). 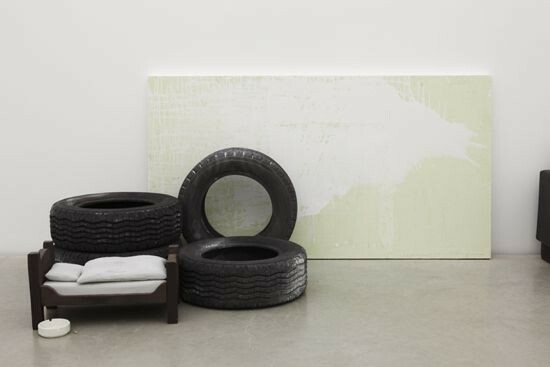 Courtesy the artists; Galerie Eva Presenhuber, Zürich; Sprüth Magers Berlin/London; Matthew Marks Gallery, New York.